Klout announced that they have updated the profile pages of its users with a design that's not wholely unlike pinboard site Pinteret. 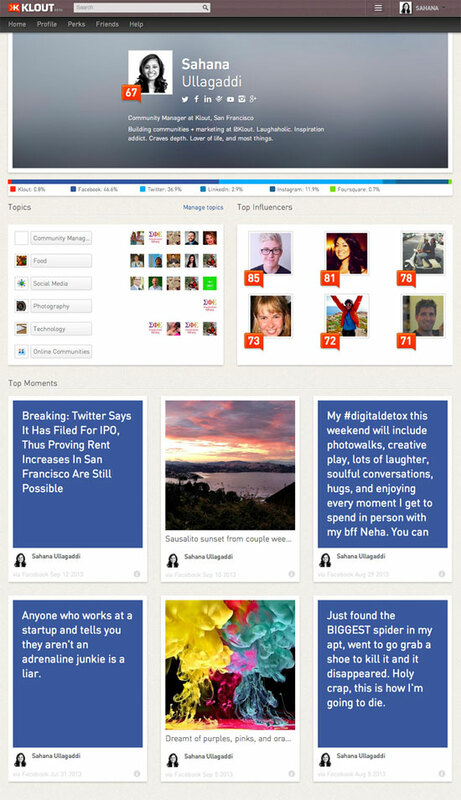 The new Klout profile pages showcase the social networks users are active on, as well as topics, influencers and a sample of top content. What's more, when viewing other Klout users' profile, viewers will have an opportunity to immediately give them +K in topics they are influential about. Klout also announced that it moved its user Perks area to their own dedicated page and that by cliking on any Perk on that Page will enable users to see what influencers are saying about the experience. Ratings, reviews and any social buzz happening around that Perk will also be displayed.